Office of Student Life and Enrollment Management: The Office for Student Life is located in the rear of the Samuel R. Chand Auditorium (Chapel). Hours of Operation: The Student Life Office is available to students from Monday –Thursday 8.30 a.m. to 6:00 p.m. and also by appointment. Chapel Attendance: If you have a class on Thursday, you are required to attend chapel services. Guest speakers include experienced Christian leaders from the metro area as well as out of state. CD's are available for purchase immediately following service. Inclement Weather: Closing announcement will be made over WSB Radio (Am 750 as WSB TV). Complaints/Suggestions: Dr. Benson Karanja, the president of Beulah Heights University, is interested in knowing your complaints, suggestions, or ideas, please leave the items in the designated receptacles on campus. Emergency Notification: Emergencies include serious accidents, illnesses, or other critical incidents that can be categorized as an emergency situation. Notification of an emergency must be directed to the Faculty Assistant (ext 103) who will determine if the situation warrants class interruption. Otherwise, a note will be placed in the instructor’s campus mailbox. A “late for class”, message is not considered as an emergency. Student Handbook: The Student Handbook is filled with information pertinent to practical and personal student needs. The information provided in the handbook is critical to the campus experience and dorm life, policy, procedures and personal development. Each student is required to read the Handbook and provide a signed statement for the University to maintain in each student's file. Vending Machines: Food/drink machines are available in the Student Activity Center. If you lose money in a machine, you may report it to the front desk receptionist to receive a refund. Campus Housing: Interested in really getting to know what Campus Housing at BHU has to offer? Housing tours offer a great opportunity to see each of our residence halls, talk to students, faculty, and staff, and really learn about the educational advantage Campus Housing can offer you. Click here <hyperlink: to Campus Housing Page for more information. Pastoral Care: Beulah Heights offers personal and spiritual assistance to its students in the Student Life Office. Matters on which students may receive assistance may include spiritual, ministry standards, and interpersonal relationships. Professional Counseling: Beulah Heights University maintains professional Christian counseling on campus for students needing professional counseling services. These services are provided by licensed therapist who also serve on the faculty at BHU. The Vice President of Student Life facilitates this referral process. (Refer to the department of student life and enrollment management for additional information). ADA Accommodations (American's with Disabilities Act of 1990): Academic counseling is provided in collaboration with the Academic Department which provides academic advisement for each student each semester. The Office of Student Life may request classroom accommodations or modifications for students who desire additional academic support or who demonstrate a need for remediation in courses being offered at the university due to learning, physical and/or mental disabilities. Contact the Office of Student Life if you have any questions regarding this. SGA has formed a partnership with Club Give, a BHU student powered outreach purposed to provide food and other resources to needy persons. [See attached documentation 17.10 b] The club was organized by students of the Community and International Economic Development Department. Donations are given to BHU and are then used to purchase food, clothing, and other necessities. Members of Club Give advertise when and where they will distribute items, and then they transport the items directly to the community and individuals who need the assistance. BHU Campus Ministries: Students who wish to get involved in campus life can connect with BHU Campus Ministries as a volunteer. BHU-CM plans student ran worship services like SNL [Saturday Night Live], and similar special events. BHU-CM also coordinates with the planning teams over other various BHU events to provide assistance. Volunteers may be requested to help with promoting, setting up, hosting, etc. Club Give: Club Give is a student initiated food drive that provides food and clothing to low income families in housing communities near the University. Students also currently serve as volunteer mentors to high school students and the local alternative high school. M.O.S.T. [Missions Overseas Short Term]: There is also a co-curricular activity available through the MOST [Missions Overseas Short Term] program. Students are required to complete a MOST course [in which they receive credit hours that calculate into their GPA] to receive missions training and are then afforded the opportunity to travel overseas to serve communities in need. Resident Assistants: Responsible student residents who exemplify leadership skills are recruited to assist in Campus Housing as Resident Assistants (RAs). RAs vary per semester and receive a minimal stipend for their service. If you are a student resident interested in being an RA, please contact the Residence Life office for availability and information on how to apply. 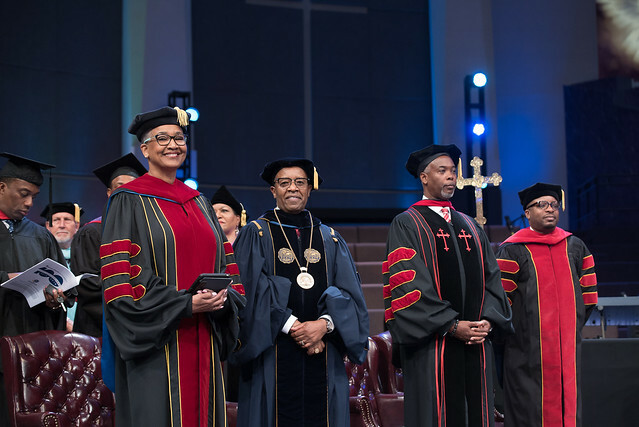 Under the direction of the Dean of Chapel, you will assist the leadership team with the running of the Chapel Service. Your assistance may include but not limited to, Scripture reading, collecting the offering, taking CD orders, making duplicate CD’s and labels and greeting Chapel attendees as they enter.